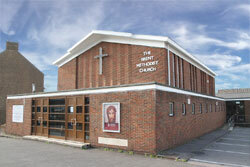 The Brent Methodist Church is part of the North Kent Methodist Circuit. The circuit covers: Dartford and Gravesham, Maidstone, Malling and Rochester, Swale and Medway, Local Ecumenical Projects. For further information about the circuit, please visit this website. For further information about the Methodist Church, please visit this website.